While jails are not the most attractive buildings in a community, they have nonetheless always played an important role in a developing society. Such is the case with the Cooper County Jail. Until its closing in 1978, it was the oldest continuously used County Jail in Missouri. 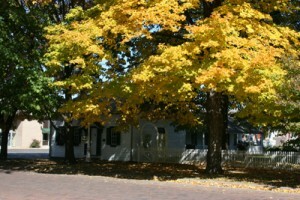 The original structure was completed in 1848 for $6,091.50. Slaves quarried the 2½ foot thick limestone blocks which they used for construction of the two-story building. Each story had one large room, reminiscent of old dungeons, equipped with 1 ¼ inch round rings bolted into the outer walls. The prisoners were shackled to these rings at the feet. The large room on the ground level, known as the “bullpen” held slaves destined for the auction block on Main Street.In 1871, the appearance of the second-story room was changed with the addition of iron box cells. Brought to Boonville by steamboat from St. Louis, these were installed using the occupants of the jail as laborers. The jail was to receive no additional major changes for another century. What makes the Hain House special is that it is a typical, 19th century single family dwelling, built and owned by average Boonville family – this, plus one other fact – that since its construction 170 years ago, it has been owned by one family, the Hains. 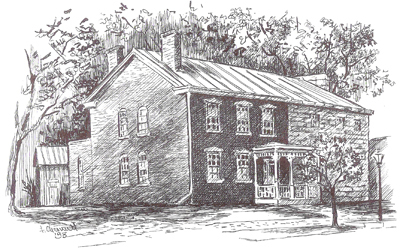 The history of the Hain house begins in 1836 when George Hain, a Swiss immigrant, arrived in America. He came to this country because he heard that it was a land where every person, regardless of station in life, had the same opportunity to succeed. This was the dream of the common man and George Hain brought that dream with him to Boonville. 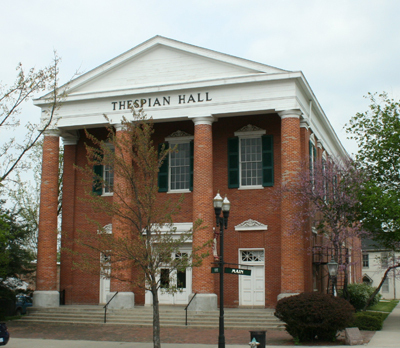 For more than 150 years Thespian Hall has captured the vision, the imagination and the essence of the community in which it was built. The roots of Thespian Hall go back to 1838, when a remarkable thing happened in the frontier town of Boonville. That year, sixty leading citizens founded an all-male dramatic group called “The Thespian Society”, which enjoyed wide community support that was unique in its day. The Friends of Historic Boonville has only one staff person, who at times must attend off-site meetings during business hours. For that reason, if you are traveling to Boonville for a tour we suggest you contact us in advance and let us know the date and time. We will insure that someone is available to give your tour.